People gathered together preparing to leave camp. Men, women and children all dressed in coats, jackets, hats. 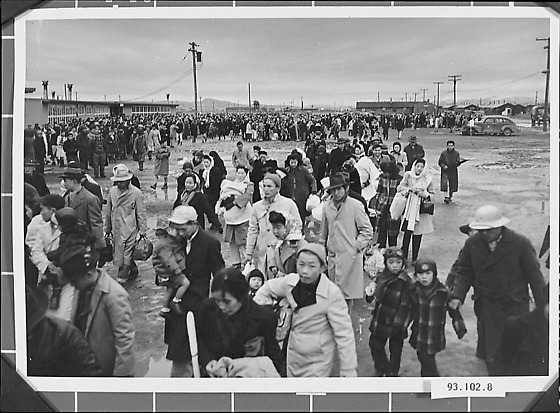 Internees leaving for Japan after the war, gather at the Tule Lake social hall. November 1945.